It all started with Margaret’s pouf. 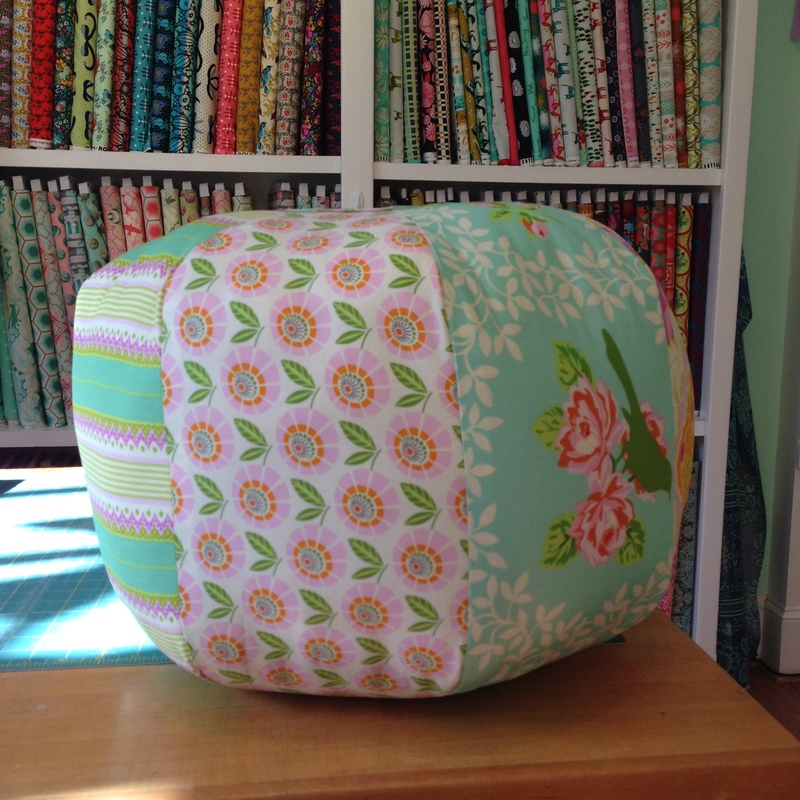 It’s the Amy Butler 18″ gumdrop pillow; the pattern has been around since 2007! Margaret picked out the four fabrics and I stitched and stuffed it and now it sits in her office. So a couple of people asked about a pouf class and I organized one at The Little General. Here’s Jennifer’s. She used four 1/2 yard cuts of Cotton + Steel. I experimented on her and she was very patient with me! Kay made a two color that we loved. Here’s Beverly’s four color for her granddaughter. 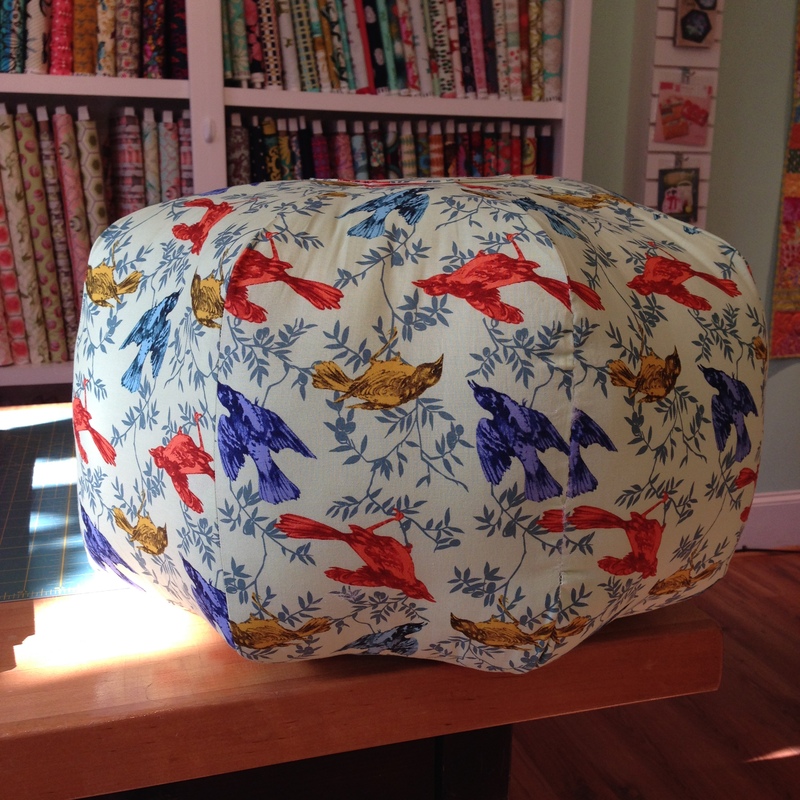 And finally Ginny’s one fabric pouf using Anna Maria Horner’s Honor Roll. It’s upside down; sorry Ginny! Aren’t they pretty?? 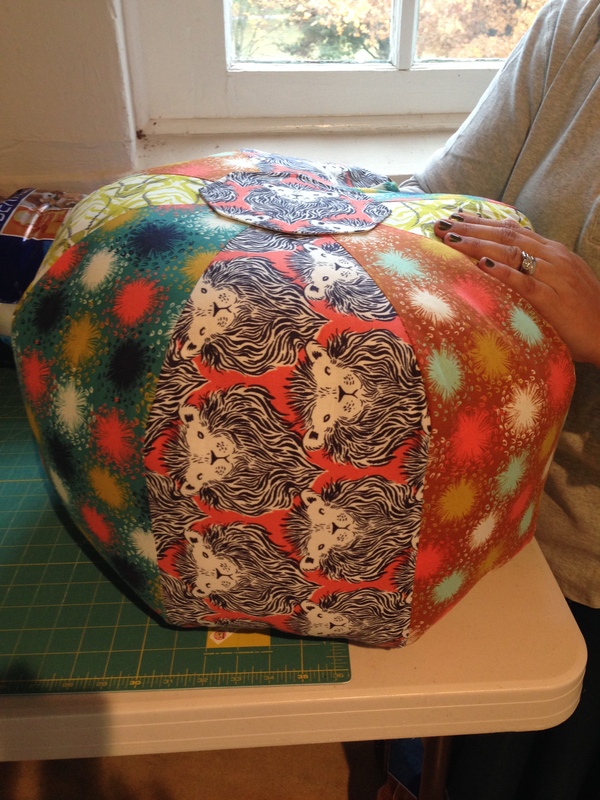 They make really fun Christmas presents for nurseries or offices or just to show off a pretty fabric in a corner. Best of all, everybody plans on making another one! If you decide to make one, be sure to double stitch each seam. They take A LOT of fiberfill and it’s really discouraging to hear stitches pop as you stuff. Stitching the same seam twice takes care of that big problem. Want to make one?? 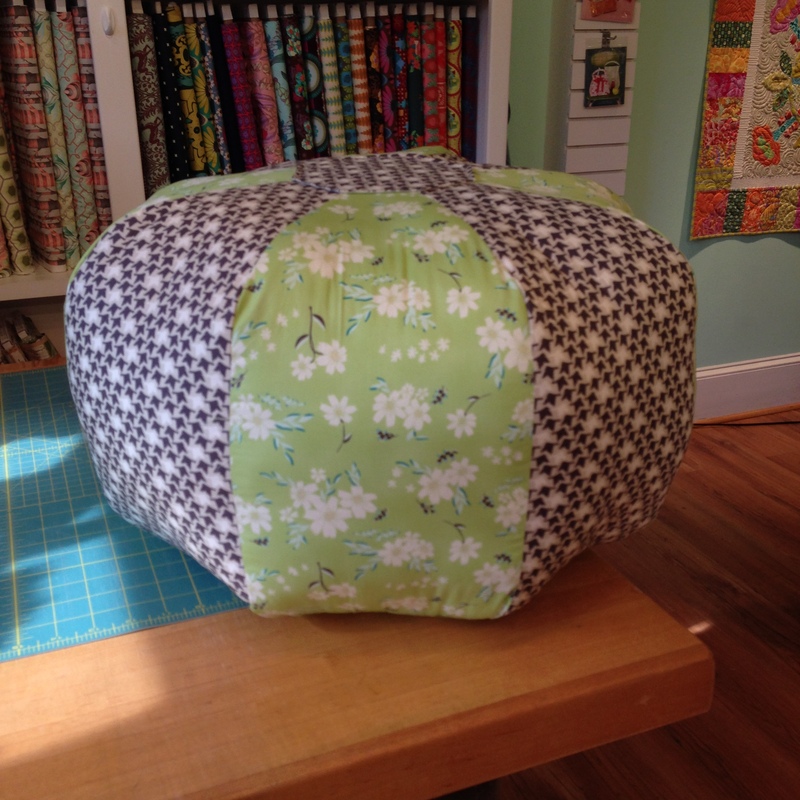 You probably don’t need a class but if you decide you want to hang out with other pouf makers and just have a big time, I just added a class on Friday, December 12 at 9:00 am at The Little General. There’s more info under my class schedule tab. I would love to have you! Finally, I hope you have a wonderful Thanksgiving! Travel safely and make happy memories! 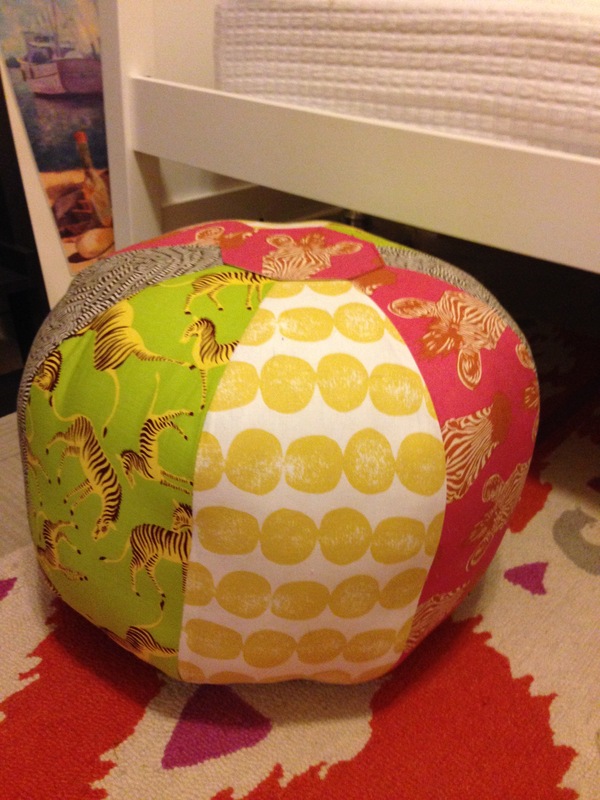 This entry was posted in Uncategorized and tagged Amy Butler gumdrop pillows on November 26, 2014 by kathleenbaden. Thanks Abby! Didn’t they use great fabrics! So fun. Happy Thanksgiving!